Absolutely love this dress, and am fast realising I am a dress person. 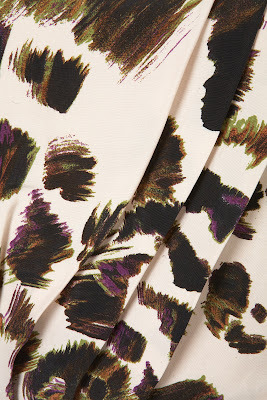 The pattern reminds me of a cover of a Cyndi Lauper album when I was teeny (showing my age, but in truth I would probably have been using it to teethe on) and it's a little bit different to all the other animal printed dresses out there at the moment. The dress style is the same as the one they made in a thousand colours for 2010 and 2011 - so we know it fits all shapes - but the print really makes it stand out. This is a little bit pointless for me to buy now, I'm not planning on wearing much more than a bikini for the next couple of weeks - but for you lot, purchase here for £46. Gorgeous ! Love the style & print ! !